Multi-talented artist Will Shannon’s exhibition ‘The Closet Craftsman’ launches the Craftspace Curates season at mac. Combining the role of designer, maker, manufacturer and architect Shannon creates alternative and mobile workspaces. Resonating with the city’s heritage as a place for trade and making things the exhibition includes the newly commissioned ‘Market Factory’ piece. Shannon subverts the idea of a traditional market stall and re-imagines it as a space in which to fuse making and selling. Using only simple hand tools Shannon goes back to basics using traditional joinery techniques and hand skills to craft beautiful limited edition chairs for sale. For the realisation of each model making space, Shannon invents a fictional narrative in which he assumes a character and teaches himself a new skill. In ‘Kiln House’ he becomes a potter designing a functional mobile workshop in which he produced the tiles used on the workshop roof, the light shade and other fixtures from local clay. 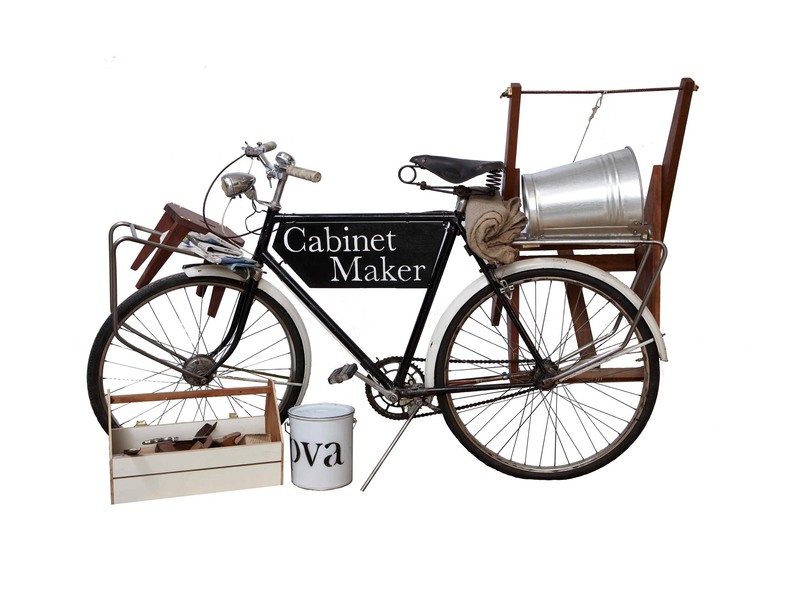 In ‘Cabinet Maker’, a bicycle is adapted to become a portable workshop equipped with tools for producing papier mache furniture. 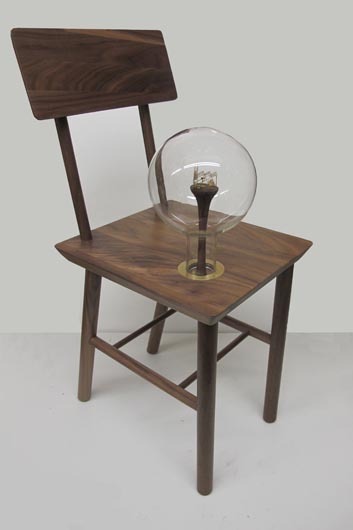 The idea of making furniture in-situ often using local or discarded materials reduces the amount of energy used and engages directly with the user. With a concern for sustainable production, Shannon sources materials locally and makes use of discarded objects and materials. In his gallery installations, the products made are displayed alongside the workspaces as though the craftsman has just stepped away from completing the process. “By setting creative challenges and teaching himself new skills, Shannon champions the idea of having a go, blurring the boundaries, making mistakes and re-writing the rules. His propositions raise questions and provoke us to think about how, where and why things are made.” Deirdre Figueiredo, Director, Craftspace. The Craftspace Curates season continues at mac until Spring 2016 and will encourage audiences to experience the breadth creativity associated with contemporary craft and making through a series of commissions and events, which include live performance, film, digital media and public art. Join the artist and curator Emma Daker for a tour of the exhibition, and discussion around the recurring themes in the artist’s work. This entry was posted in Art, Birmingham and tagged Art, Art in Birmingham, Birmingham, Craftspace Curates, Exhibitions, mac, The Closet Craftsman, Will Shannon. Bookmark the permalink.